“Firmly rooted at the cross section between US power metal and traditional, NWoBHM influenced heavy metal of the 80s, opener “Knights of Dragon’s Deep” unites all of the band’s trademarks and strengths in one nice package, great vocals, a gripping chorus, tight riffing and dynamics, lending the band the authenticity many bands strive for, but ultimately fail. And this seriousness definitely shows that there is a lot of substance hidden underneath these costumes and attire. And Patreon backers will receive an extra exclusive track entitled “Fire and Sand”. 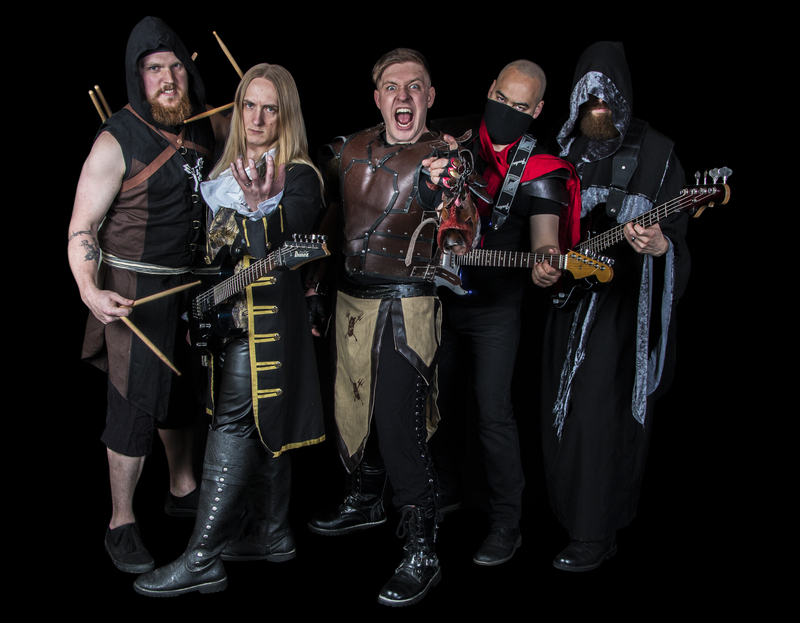 A true spectacle to be witnessed, LORDS OF THE TRIDENT is a daring adventure metal quintet that has been delighting their audiences and fans all over the world for ten years. To continue on their epic quest of bringing spectacular and entertaining metal to global fans these power metal warriors will be unleashing their 7th album “Shadows From The Past” on August 24th. The album features 11 adventurous heavy metal tracks for its North American release, which includes guest vocals from Unleash The Archers Brittney Slayes on “Burn It Down (With Fire)” plus 2 bonus tracks “Cross The Line” and “Desolation (Haze of the Battlefield Pt. 2)” for its Japanese special edition along with Patreon backers receive an extra exclusive track entitled “Fire and Sand”. “Shadows From The Past” was supported by a kickstarter campaign that went live on June 1st and ended on June 29th. During that month, the band’s fans helped them surpass their goals to raise over $11,000 for the release. The band offered multiple packages and rewards that included merch, lessons from band members, festival tickets, private concerts and a copy of the video game Coffee Crisis that the band has partnered with to feature one of their songs for one of the levels along with band members as NPCs (non-playable characters). Since climbing out of a volcano in 2008, shrouded in metal and ash, LORDS OF THE TRIDENT have gone to battle on many stages across the USA, playing and and headlining a plethora of festivals and have an admirable arsenal of recordings in their inventory. The fiery party of five talented musicians have spent the last 10 years gleefully drinking ale while performing alongside other revered bands such as Helloween, Unleash the Archers and 3 Inches of Blood. While creating their music is largely a group endeavour, The Baron has been leading the charge for the band’s musical evolution. Their live shows include medieval costumes, pyrotechnics, confetti cannons, guitars set ablaze, and of course, excellent technical musicianship challenge the standard for how live music should be experienced. Citing influences such as Iron Maiden, Scar Symmetry and Judas Priest, and embracing lyrical themes inspired by great battles, conquests, dragon-fightin, virtual reality, and out-of-control robots LotT dish out face-melting power that is enjoyed by fans of all races and classes. 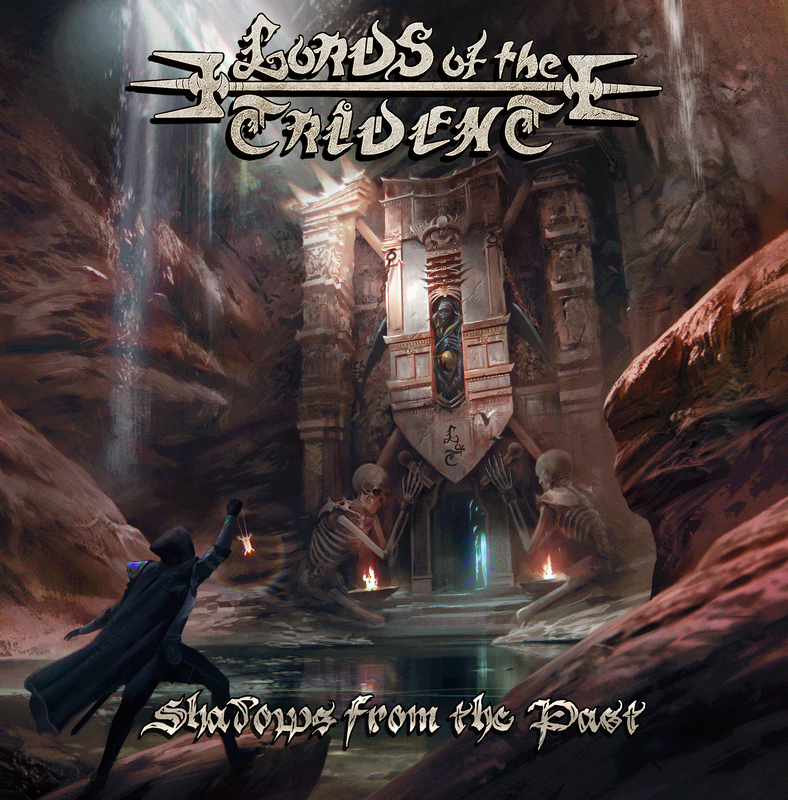 THE LORDS OF THE TRIDENT have released three full albums: “Death or Sandwich” (2009)(Junko Johnson), “Chains on Fire” (2011) (Junko Johnson), “Frostburn” (2015) (Junko Johnson (NA)/Kill Metal Records (EU)), three EPs: “Plan of Attack” (2013) (Junko Johnson), “A Very Lords of the Trident Christmas” (2014) (Junko Johnson), “Re:Quests” (2015) (Junko Johnson), and two live DVDs, along with numerous compilation singles.